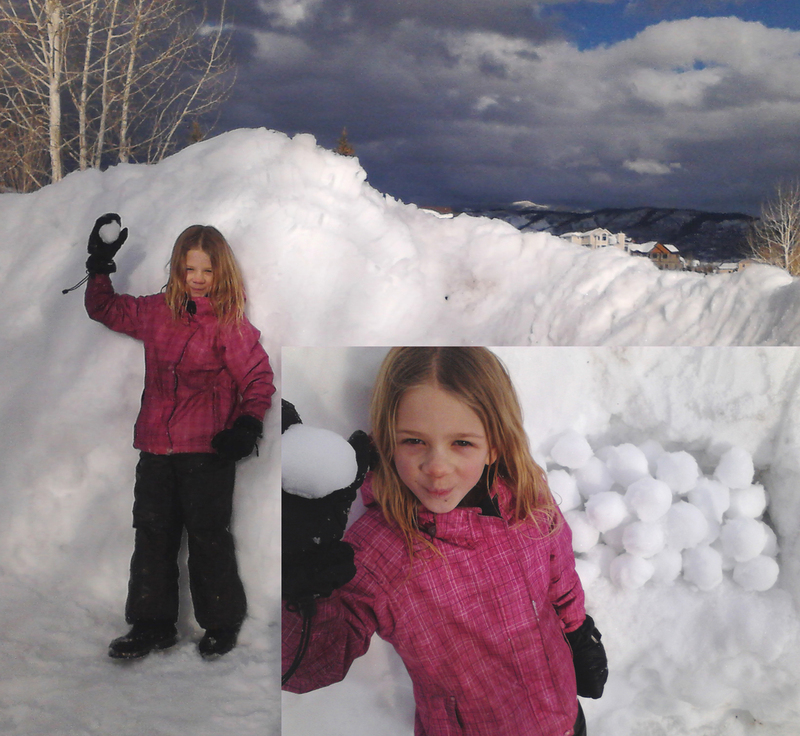 Sparked by a rumor heard on the elementary school playgrounds, eight-year-old snowball-rights activist Pepper Neighbors has spent most of her free time between ballet classes and freeze tag amassing a huge arsenal of snowballs in her "Snowmageddon Bunker." Pepper Neighbors, a second-grade student in Colorado and third-cousin-removed to Charlton Heston, had one thing to say to President Obama should he try and take away her snowballs: "You'll have to pry my snowballs from my cold, numb hands." "I heard from Tommy that Obama did some president stuff and was now coming to take away my snowballs," noted Neighbors. "And Tommy is in fourth grade, so he knows about these things. But I love my snowballs, and I'll never let Obama take away my secondary manendment right to have a huge pile of them and throw them at stuff." After witnessing Ms. Neighbors compiling hundreds of snowballs in her five-foot-tall snow fort, a neighbor and snowball-control proponent Marty Pooper reported the activity to her parents.